Hello there and welcome to Goodleaf Tree Climbing! Goodleaf is an award winning family run recreational tree climbing business owned and operated by Paul McCathie. It’s niche, but we’re tree climbers. 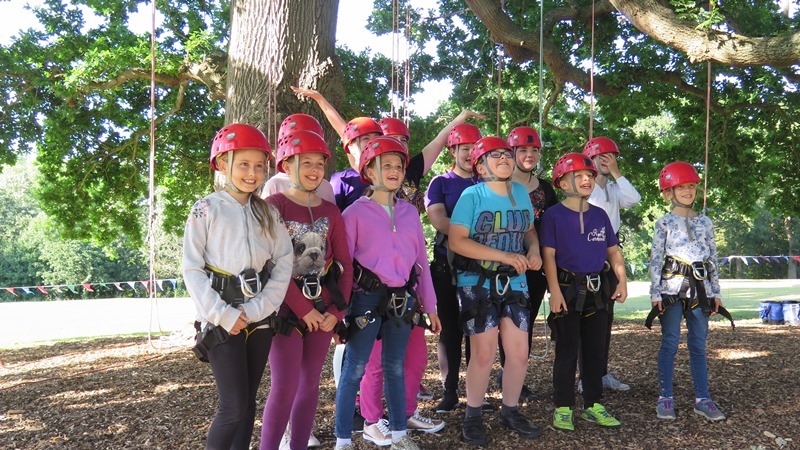 We’re absolutely not a high ropes course – all our tree climbing takes place in one magnificent oak tree. 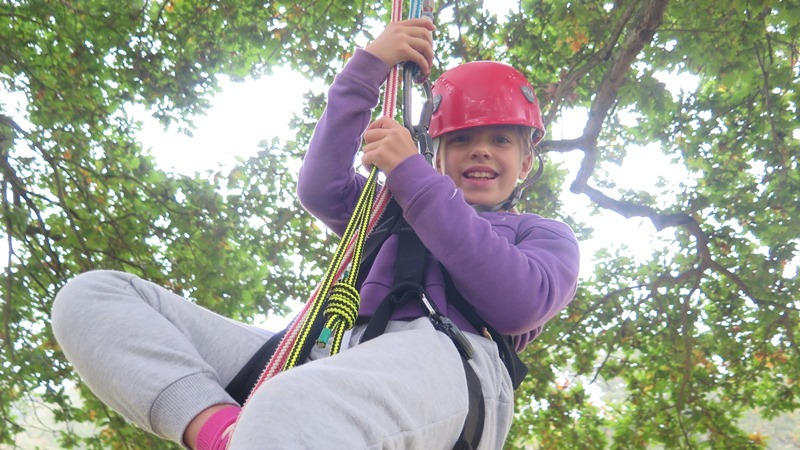 We’ve welcomed thousands of tree climbers over the years and we hope to welcome many more. Paul’ s love of trees and tree climbing led him to start Goodleaf back in 2005. 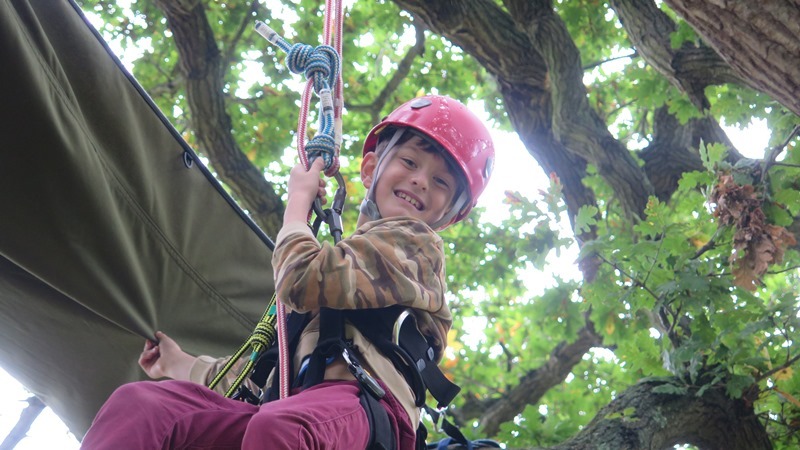 We pioneered the activity of recreational tree climbing in the UK. There are a couple of other companies who offer tree climbing, but there’s only one Goodleaf! We’re a seasonal business, operating from Easter to the end of October half term. In the winter we like to travel and you can often find Paul climbing trees in spectacular native New Zealand forests. 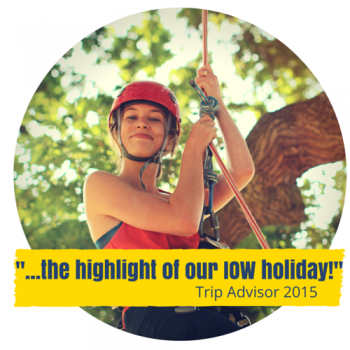 From the moment you book with us, until you make your descent from the tree top, we want you to have a friendly, relaxed and enjoyable time. The beauty of tree climbing with Goodleaf is that the technique we teach and the equipment we use are suitable for all abilities. We welcome climbers aged 8 and over – read more about our age policy here. We tailor our experience to meet your aspirations – whether it’s getting to the top of the tree or relaxing in the tree top hammock. And there’s always a drink and piece of climbers flapjack waiting for you in the picnic basket so you can celebrate your climb. 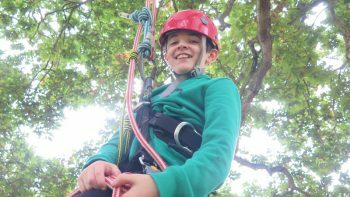 Our main two-hour climbing experience takes place at Appley Park, near Ryde on the east coast of the Isle of Wight. Our 70ft oak tree is a magnificent specimen. We estimate it’s been growing for around 200 years. All our tree climbing instructors are local residents. They’re also experienced teachers and instructors. 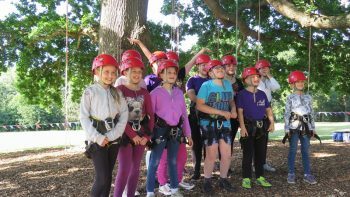 They’re trained by our Lead Tree Climbing Instructor Paul McCathie, who has nearly 20 years of tree climbing under his belt. Paul’s originally from New Zealand. He married an Islander and has lived on the Island for over 15 years so he’s nearly a local! Our instructors are awarded ‘Recreational Tree Climbing Facilitator’ certificates from Lantra and Goodleaf. 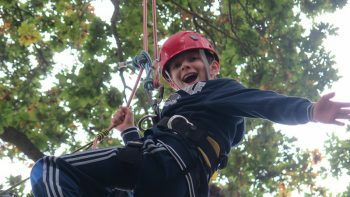 We also offer a popular three day course tree climbing course. Goodleaf isn’t just about climbing trees; it’s about a lovely experience and doing something together that you would never normally have the opportunity to do. It’s about switching off from the hustle and bustle of modern technology driven life. It’s about relaxing in and understanding more about trees. And it’s about enjoying the great outdoors in a unique way. Paul and everyone at Goodleaf. If you haven’t heard of recreational tree climbing, it could be because it’s still not hugely known in the UK. It has been popular in the USA for more than 30 years, after it was started by Peter ‘Treeman’ Jenkins. Paul trained in the USA and retains close links with Tree Climbers International. Goodleaf have pioneered recreational tree climbing in the UK and we maintain close ties with tree climber friends in the USA. 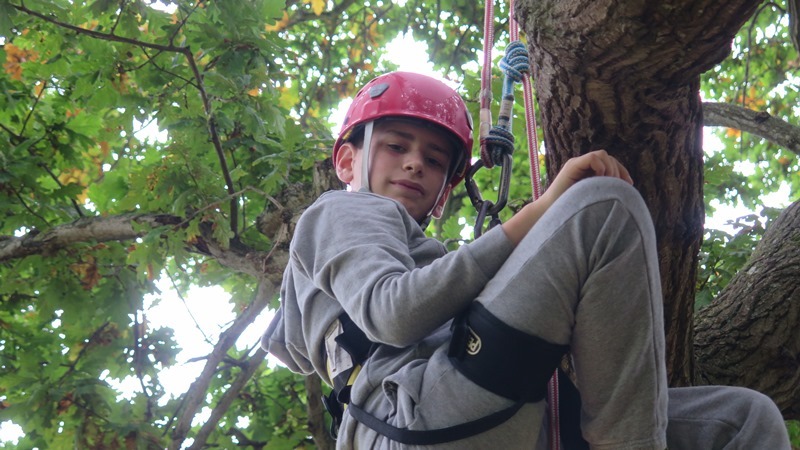 Paul is part of the Global Organisation of Tree Climbers (GOTC). There is an annual Tree Climbers Rendezvous and we regularly attend to update our skills and network with worldwide tree climbing colleagues. We’re very proud and honoured to be a part of the global recreational tree climbing community.